The Client : The company or individual requesting the services of The Northern Foundry Ltd. The Northern Foundry Ltd: Primary designer/site owner & employees or affiliates. The Northern Foundry Ltd will carry out work only where an agreement is provided either by email, telephone, mail. The Northern Foundry Ltd will carry out work only for clients who are 18 years of age or above. An ‘order’ is deemed to be a written or verbal contract betweenThe Northern Foundry Ltd and the client, this includes telephone and email agreements. 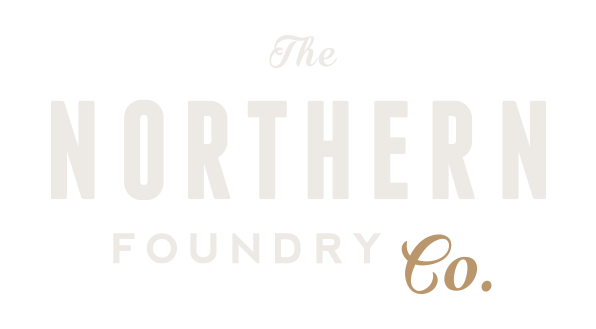 The Northern Foundry Ltd will always ask for a brief from the Client, once this brief is received / agreed and the first initial payment has been receivedThe Northern Foundry Ltd will commence with visualising the Clients website. The Northern Foundry will provide the Client with an opportunity to review the appearance and functionality of the website during the design/visualisation phase. Once visuals have been signed off The Northern Foundry will commence with the development of the website. Once the overall website development is completed there will be a 30 day window of opportunity for any minor changes/amendments to be made to the site. Any major changes to the design / functionality of the website at this stage maybe chargeable, the level of design change will be decided by The Northern Foundry. Whilst The Northern Foundry always endeavor for the client to be 100% happy with the website if a large amount of additional work is required this maybe chargeable to the Client. Whilst every endeavor will be made to ensure that the website and any scripts or programs are free of errors,The Northern Foundry Ltd cannot accept responsibility for any losses incurred due to malfunction, the website or any part of it. The website, graphics and any programming code remain the property ofThe Northern Foundry Ltd until all outstanding accounts are paid in full. Any scripts, cgi applications, php scripts, or software (unless specifically agreed) written by The Northern Foundry Ltd remain the copyright ofThe Northern Foundry Ltd and may only be commercially reproduced or resold with the permission of The Northern Foundry Ltd. The Northern Foundry Ltd cannot take responsibility for any copyright infringements caused by materials submitted by the Client or used by the client in the future on their website. We reserve the right to refuse any material of a copyrighted nature unless adequate proof is given of permission to use such material. Any coding additions to website briefs provided will be carried out at the discretion ofThe Northern Foundry Ltd and may carry an additional cost. Where no charge is made byThe Northern Foundry Ltd for such additions, The Northern Foundry Ltd accept no responsibility to ensure such additions are error free and reserve the right to charge an according amount for any correction to these or further additions. The client agrees to make available as soon as is reasonably possible toThe Northern Foundry Ltd all materials required to complete the site to the agreed standard and within the set deadline. The Northern Foundry Ltd will not be liable for costs incurred, compensation or loss of earnings due to the failure to meet agreed deadlines. The Northern Foundry Ltd will not be liable or become involved in any disputes between the site owner and their clients and cannot be held responsible for any wrongdoing on the part of a site owner. eg. Any disputes re content/images that have been provided to us for inclusion on the site. The Northern Foundry Ltd will not be liable for any costs incurred, compensation or loss of earnings due to the work carried out on behalf of the client or any of the clients appointed agents. The Northern Foundry Ltd will not be liable for any costs incurred, compensation or loss of earnings due to the unavailability of the site, its servers, software or any material provided by its agents. In no event shall The Northern Foundry Ltd be liable for any direct, indirect, consequential, special and exemplary damages, or any damages whatsoever, stemming from the use or performance of a client website or from any information, products and services provided through client sites, even if this website has been advised of the possibility of such damages. The Northern Foundry Ltd reserves the right to suspend any account on its server due to none payment of any invoice(s) over the duration of payment terms agreed with the client. The Northern Foundry Ltd reserves the right to remove any files from any server it has been given access to for web development. Due to none payment of any invoice(s) over the duration of payment terms agreed with the client. The Northern Foundry Ltd will endeavour to install and publicly post or supply the Client’s website by the date specified in the project proposal, or at date agreed with Client upon The Northern Foundry receiving initial payment, unless a delay is specifically requested by the Client and agreed byThe Northern Foundry Ltd. In return, the Client agrees to delegate a single individual as a primary contact to aidThe Northern Foundry Ltd with progressing the commission in a satisfactory and expedient manner. During the project,The Northern Foundry Ltd may require access to the Control Panel of your server (if the website is not to be hosted byThe Northern Foundry Ltd) and will require the Client to provide website content; text, images, movies and sound files. Failure to provide information within a reasonable time frame could result in the project being delayed. The Northern Foundry Ltd is a small business, to remain efficient we must ensure that work we have programmed is carried out at the scheduled time. On occasions we may have to reject offers for other work and enquiries to ensure that your work is completed at the time arranged. This is why we ask that you provide all the required information in advance. On any occasion where progress cannot be made with your website because we have not been given the required information in the agreed time frame, and we are delayed as result, we reserve the right to invoice for the outstanding balance of the website, we will then resume and complete the project once web content has been provided. NOTE: Text content should be delivered as a Microsoft Word, Microsoft Excel, email (or similar) document with the pages in the supplied document representing the content of the relevant pages on your website. These pages should have the same titles as the agreed website pages. Contact us if you need clarification on this. The Northern Foundry Ltd cannot take responsibility for any losses incurred by the use of any software created for the client. Whilst every care has been taken to ensure products are problem free and accurate, the ultimate responsibility lies with the client in ensuring that all software is functioning correctly before use. Any scripts, applications or software (unless specifically agreed) written by The Northern Foundry Ltd remain the copyright of The Northern Foundry Ltd and may only be commercially reproduced or resold with the permission of The Northern Foundry Ltd.
Where applications or sites are developed on servers not recommended by The Northern Foundry Ltd, the client is expected to provide or seek any information,additional software, support or co-operation pertaining to the server required in order for the application to be correctly developed. Where large applications are to be developed, it is the clients responsibility to provide a suitable testing environment which is identical to the final production environment. The client is expected to test fully any application or programming relating to a site developed by The Northern Foundry Ltd before being made generally available for use. Where “bugs”, errors or other issues are found after the site is live, The Northern Foundry Ltd will endeavor (but is not obliged to) to correct these issues to meet the standards of function outlined in the brief. The Northern Foundry Ltd will endeavor to ensure that any developed/designed site or application will function correctly on the server it is initially installed in and that it will function correctly when viewed with the web browsing software such as Google Chrome, Firefox, any other webkit browser and to an acceptable level with Microsoft Internet Explorer (<IE 9) . The Northern Foundry Ltd can offer no guarantees of correct function with all browser software as they constantly change. If you provide your own web designs either created yourself or by a 3rd party designer, These must be built in Grid format for responsive web design. They must be submitted in PSD format. Please Note: Without the provision of a functionality brief prior to project commencement, all functionality will be determined by The Northern Foundry during the development of the site. We will use the PSD’s provided as a guide, but as they’re are flat documents any functionality will be developed to The Northern Foundrys interpretation. Any changes requested to functionality that has already been programmed by us that has not been specifically outlined in a written brief prior to the project commencement may be subject to additional charges. Charges for services to be provided by The Northern Foundry Ltd are defined in the project quotation that the Client receives via e-mail. Quotations are valid for a period of 30 days.The Northern Foundry Ltd reserves the right to alter a quotation after expiry of the 30 days. First monthly payment made before designs are initiated, following payments are at the end of every month, the payment is due within 7 days of the invoice. Non Payment of overdue invoices could lead to any services/websites managed or hosted by The Northern Foundry Ltd, or any ongoing work being suspended or ceased until payment is received in full. Bank details or PayPal details will be made available on invoices. The Client agrees to reimburse The Northern Foundry Ltd for any additional expenses necessary for the completion of the work. Examples would be purchase of special fonts, URL purchase etc. Web hosting payment is either made up front annually or monthly and payment is due upon receipt of invoice. Late payment could result in your website hosting being terminated and your site going offline. The Northern Foundry shall use its reasonable endeavours to make the server and the Services available to the Customer 100% of the time but because the Services are provided by means of computer and telecommunications systems, The Northern Foundry makes no warranties or representations that the Service will be uninterrupted or error-free and The Northern Foundry shall not, in any event, be liable for interruptions of Service or downtime of the server. The Northern Foundry carries out data backups for use by The Northern Foundry in the event of systems failure. The Northern Foundry do not provide data restoration facilities for individual customers. Even though every effort is made to ensure data is backed up correctly The Northern Foundry accepts no responsibility for data loss or corruption. -Obtain or attempt to obtain access, through whatever means, to areas of The Northern Foundry’s network or the Services which are identified as restricted or confidential. This includes leaving your home directory whilst using SSH access to servers. -Operate or attempt to operate IRC bots or other permanent server processes. The Customer has full responsibility for the content of the Website. For the avoidance of doubt, The Northern Foundry is not obliged to monitor, and will have no liability for, the content of any communications transmitted by virtue of the Services. If the Customer fails to comply with the Acceptable Use Policy outlined in above The Northern Foundry shall be entitled to withdraw the Services and terminate the Customer’s account without notice. No guarantees can be made as to the availability or interruption of this service by The Northern Foundry Ltd cannot accept liability for losses caused by the unavailability, malfunction or interruption of this service, or for loss of turnover, sales, revenue, profits or indirect, consequential or special loss. This shall apply even where such a loss was reasonably foreseeable or The Northern Foundry had been made aware of the possibility of the Customer incurring such a loss. The Northern Foundry Ltd reserve the right to refuse to handle in any way, material which may be deemed offensive, illegal or in any way controversial, and also to terminate any web hosting service we provide for clients should the necessity arise. The Northern Foundry shall maintain control and ownership of the IP address that is assigned to the Customer as part of the Services and reserves the right in its sole discretion to change or remove any and all IP addresses. Where The Northern Foundry changes or removes any IP address it shall use its reasonable endeavours to avoid any disruption to the Customer. Due to external factors, such as changes to the way search engines rank websites, we cannot offer any guarantees regarding the position your website will achieve. We always advise to ensure your site is optimised to the highest standard, and we can assist with this should you specifically request. We cannot accept liability for any change in rankings, or drop off in the position of your website due to changes in the algorithms of the search engines or the factors that they use to rank websites. We use ‘white hat techniques’ when building websites and always try to keep SEO in mind when building a site, SEO algorithms change intermittently however, and as a result we cannot be held responsible for any drop in search engine rank. The Northern Foundry Ltd reserve the right to refuse to handle in any way, material which may be deemed offensive, illegal or in any way controversial. Anyone who experiences a problem with their web service provided by The Northern Foundry Ltd should raise the matter directly using our online contact form to do so, giving sufficient information to locate the material (such as an url) and clearly outlining the grounds for complaint. The Northern Foundry Ltd will approach the individual responsible for the material in question with a view to resolving the matter to the satisfaction of the complainant. A formal complaint should be made in writing to The Northern Foundry Ltd, who will acknowledge receipt and ensure that the matter is looked into as soon as possible.